Compost Pile Not Heating Up? Client's Request: I'm trying to implement an ongoing compost pile to sustain my backyard vegetable garden. However, my compost pile isn't getting hot. Would you please tell me why and what I can do to maintain a “hot” compost file. Help Desk Response: Thank you for contacting the UC Master Gardener Program Help Desk with your question about compost. You said that your compost bin is not getting hot. If the compost pile is not heating up, then the pile is too wet or too dry or there is not enough green material (or nitrogen) present. If too wet, the material should be spread out to dry. If too dry, add moisture to make it “spongy”. If neither of these, then the nitrogen is low and this can be corrected by adding materials high in nitrogen (lawn cuttings, etc.). You asked whether you can place materials which are not fully composted into the garden bed. My comment was that yes this is possible, but that it will draw nitrogen from the soil to continue the composting process in the garden bed. Also, heat is the driving force to kill funguses or other living material in the pile prior to placing it in the vegetable bed. Free Recycle Smart Compost Class: You might also be interested in the compost class offered by Recycle Smart. 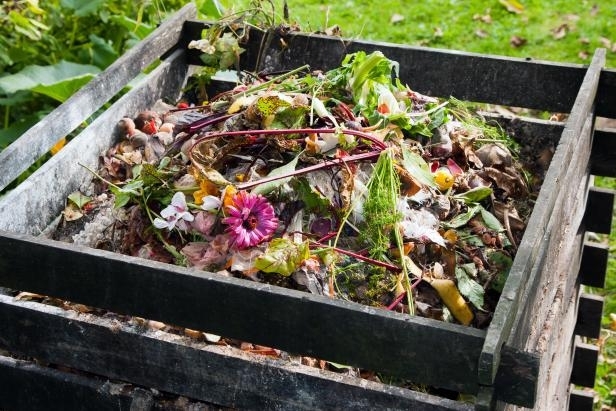 The class is free, and was developed to help residents understand the importance of organics recycling, build composting systems, recycle food and yard waste at their homes, build healthy urban soils and support thriving landscapes. For APPLICATION, dates and more information visit www.RecycleSmart.org/CompostSmart. The application deadline for the next class is February 22, 2019. Good luck on your compost. Please do not hesitate to contact the Help Desk if you have more questions.